The Nissan Leaf posted its best month of the year and one of the best of its existence in the US through October 2012 but the electric Chevy Volt answered with its best month ever – helping the Volt to widen its already massive lead in annual sales over the Nissan EV. As we entered the final quarter of 2012, the Nissan Leaf had one last chance to stage any sort of comeback in terms of annual sales in the battle with the Chevrolet Volt. Nissan started the final quarter of 2012 strong, posting its best month of the year but the Japanese automaker still fell well short of the electric Chevy. The Chevrolet Volt sold 2,961 units in October 2012, making last month the best ever for the Volt in terms of monthly sales figures while also presenting an improvement of 167% compared to the same month in 2011 when only 1,108 examples of the Volt were sold. This marks the third consecutive month where the Volt has posted a new sales record as GM continues to watch the electric sedan packing a range extending electric engine grow month over month. On the year, GM has sent out 19,309 Volt sedans – accounting for a 286% increase over the first ten months of 2011. By most standards, the Nissan Leaf had a great month in October 2012 with 1,579 electric vehicles delivered accounting for almost as many units as any two months from this year. These 1,579 EVs delivered marks an increase of 86% over the October 2011 but due to the record month by the Chevy Volt – the Leaf still trailed in the electric vehicle market by a healthy margin. On the year, Nissan has delivered 6,791 new Leaf EVs which is 16% worse than the figures from the first ten months of 2011. It should go without saying that the Chevrolet Volt is pretty much guaranteed to lead the electric vehicle segment for the 2012 sales year as with a lead of over 12,000 units, there is really no chance of the Nissan Leaf catching up even if GM stopped selling Volts right now. An interesting note from October 2012 – each of the past four months has shown a growth in overall sales between these two main electric vehicles. When you add in the other models, there is a gradual growth over the course of 2012 that proves that people are not becoming less interested in these super-efficient models. Some media sources talk about models like the Chevrolet Volt and the Nissan Leaf as though they are flash in the pans or fads that will wear off as time goes on but based on the direction of the sales figures throughout 2012 – it looks like the contrary is true. As more affordable electric vehicles like the Ford Focus Electric and the Coda Electric Sedan hit the market and the cost of technology continues to come down while the range of these models continues to improve – the electric vehicle market could continue to attract more and more new buyers. In the meantime, the Chevrolet Volt has emerged as the most popular EV in the American market as the only affordable EV that offers extended range via a gasoline engine. The Volt packs the reliability and gasoline efficiency of a hybrid while also offering vastly more all-electric range than any hybrid on the market today. Wondering why we compare the sales figured of the pure electric Nissan Leaf to the Chevrolet Volt with its gasoline range-extending EV drivetrain? Click here for a quick explanation! Why do we need all these charging stations all over the place if the hands down sales leader in the electric vehicle market doesn't ever run out of range? If your overnight charge doesn't get the job done let the gas engine run the battery packs until you park again for the night at home. On a road trip simply use a 110volt plug-in to an outside plug to get what you can. The charger companies are the next Blockbuster Video Company. Nobody will need them in 3 years. 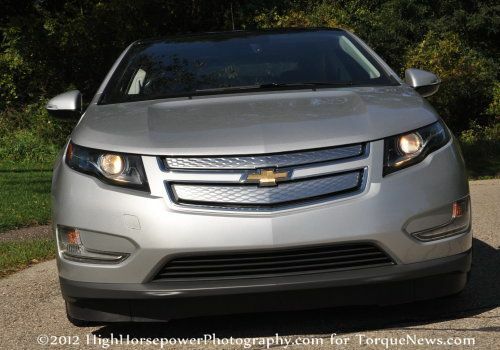 The gas engine/generator add a good amount of weight and complexity to the Volt's design. It's a stopgap to give owners the "best of both worlds" while we wait for that miracle advance in battery technology. Some day, though, we'll have affordable batteries with 300 mile ranges, and when that time comes, charging stations will be a bigger deal. On the other hand, Gas Stations will be outdated Blockbuster, which will be replaced by Compact Charging Stations, like "Red Box" which does not need much infrastructure & can stood anywhere in small place. Electric hybrids have come a long way and so have the all electric vehicles. The biggest problem with the Leaf today is the high cost of importing it. The price of the vehicle is expected to drop soon with the 2013 Leaf produced in Smyrna. That expected price drop has to hurt 2012 Nissan Leaf sales now and gives the Volt some of its advantage. To avoid hurting Leaf sales further, Nissan has not announced the price or new improvements for the 2013 Leaf. The new Leaf will be in production in one month, so these can't be kept a secret much longer. I would expect the Leaf sales figures to jump when the improved model made in the USA comes out at a lower price. It will be interesting to see the GM Volt response. This should all be good for those interested in these new vehicles next year. The lower cost won't make a huge difference the limited 75 mile range is the real killer for the leaf. You are marketing to a very specific segment of car buyers. The lease deals on both the Volt and Leaf are insanely cheap - around $200/month with $2k initial. Both GM and Nissan are trying to move product.